The official North Dakota "Been Here" mug was recently unveiled in Bismarck. Bismarck, ND — State officials in Bismarck unveiled the latest mug in a national coffee chain’s “Been Here” collection, featuring North Dakota. The “Been Here” collection features all 50 US States with detailed illustrations of landmarks, wildlife, and points of interest. North Dakota’s design for the collection features endless fields and prairies of snow with scattered bison, to accurately portray North Dakota’s endless winter season and rugged wildlife, according to North Dakota Department of Tourism officials. The overall reaction to the mug has been positive. In addition to the mug’s design, North Dakota officials are examining a few ways the mug could also capture North Dakota’s legendary wind chills. The official mugs will go on sale in the coming weeks and will be available at all North Dakota coffee houses and also be available at the North Dakota Heritage Center. 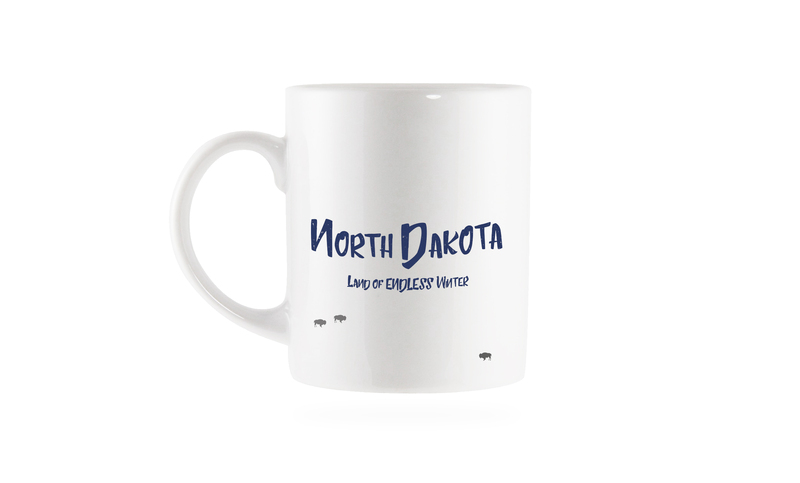 A portion of the proceeds from each mug’s sales will support the North Dakota Seasonal Depression Association, which aims to “End the Hopeless Winter Depression in North Dakota”.